Led by JANUS Research Group (JANUS), Team JANUS consists of a group of highly experienced and capable companies, non-profit organizations and academic institutions formed to provide research, technology development and demonstration, and engineering services to rapidly develop and deploy solutions that address expeditionary war fighting challenges. The AEWD Requirement encompasses Research & Development needs that include; Basic and Applied Research, Advanced Technology Development, Demonstration & Validation, and Operational Systems Development IAW DFAS-IN Manual 37-100-11. All requirements support the U.S. Army Research Laboratory (ARL), Department of Defense (DoD) and other Government agencies and may include incidental non-personal services within scope. The ARL develops and supports new concepts for application of advanced technology by customers whose principal focus is to counteract and defeat asymmetrical threats in the global environment. Through this contract the ARL will leverage defense industry capabilities to support timely application of technology-based solutions against these threats. Technologies may include: advanced communications devices and systems; information technologies; electronic, mechanical and electro-mechanical systems; field power generation technologies; and advanced materials. Furnish all personnel, facilities, equipment and supplies to assist in and support Army Red Team efforts and other activities that provide timely response toward enhancing Army Expeditionary Forces, Joint Warfighters with Army Components, and organizations that encounter and influence agile/adaptable threats. Includes development or enhancement to items and systems for employment by the U.S. Army, COCOMs, other government agencies or the DoD against rapidly evolving threats and in partnership building initiatives. Items and systems shall be employed by small units, expeditionary and special operations forces and other irregular warfare operators. Efforts may include studies, technical investigations, research, development, experimentation, assessments, limited quantity delivery and in-theatre field logistics support for appropriate end-items or systems. Items or systems shall generally be of maturity for field demonstration and assessment by military or Government operations personnel in an operational or operational-like environment. Provide necessary subject matter expertise, including industrial, organizational and technical, to support the transition of ARL technologies and other technologies into capabilities that will support the areas of interest identified in the PWS. Provide advanced technology equipment, subsystems and systems, along with necessary field support to critical defense operations involving highly adaptable threats. These threats are characterized by their ability to access and employ technologies rapidly, evolving their tactics to quickly counter changes to U.S. forces deployment and employment of countermeasures. Provide equipment, systems and technical field support to operations that span the DIMES model: Diplomacy, Information, Military, Economic, and Societal cultural development activities. These range from contained combat operations to information operations and include identifying and providing support to international law enforcement. Partnership building will often be a necessary part of this support, requiring that ITAR limitations to employment by Partner Nations and Coalition Forces be minimized. Provide equipment, systems and technical field support to the range of Special Operations and Expeditionary Forces. These will generally consist of team to Company or Regiment size operations and include rapid deployment capabilities. This involves the rapid deployment and sustainment of these forces in remote and austere locations. Provide equipment, systems and technical field support to force protection for Forward Operating Bases, Combat Outposts, and mobile operations involving small teams. These operations may be characterized by joint activities involving security forces from the host nation. Provide custom electronic devices from circuit board level to fully integrated systems. Combine and incorporate electronics including sensors, power, electro-mechanical, displays, signal analysis and processing and other components, subsystems or systems into integrated capabilities. Provide custom platform; application; operating system; security or system support software support. Provide custom mechanical components and systems supporting the mission areas. This includes the spectrum of activities from component development and equipment modification, to full system development. Develop and employ new materials to enhance lethality, survivability, sustainment, or mobility of personnel and platforms supporting the mission areas. Integrate electrical, electro-optic, mechanical, and software systems and subsystems into larger systems and architectures. Employ materials and processes to adapt commercial and military systems for new applications. Develop HSI for these systems to reduce operator workload and enhance mission efficiency. AEWD was designated a Preferred Source under the Army Strategic Sourcing Initiative and is open to all Federal agencies. This guidance directs Army requiring activities to assess Preferred Source Initiatives for suitability as a contract vehicle capable of meeting their mission needs as part of their market research and business case analysis, before initiating a new contract for covered supplies and/or services. Conduct & document studies, investigations, assessments, and analyses; these shall be of publication quality. Design, document, fabricate, modify and reproduce HW and/or SW items, systems or subsystems. Conduct rapid response prototyping and fabrication for HW and SW items, including small mechanical systems fabrication. Design, fabricate and deliver these items within hours to days of contract award. Conduct field and laboratory demonstrations, assessments, operational assessments, field experiments, and operational tests evaluations. May be for an extended duration (up to 18 months), CONUS or OCONUS including under hazardous conditions. Through our exclusive teaming arrangements, we can support a wide range of manufacturing and prototyping needs. Fayetteville, NC 57,900 sq. ft. space with secure parking, secure storage, two electric-hydraulic loading docks, GFE cage and 30,000 sq. ft. of capacity. JANUS is a forward thinking and leading edge technology service provider with experience supporting expeditionary forces utilizing our expertise in communications and information technology, program and acquisition management, intelligence and security solutions, and systems analysis and assessments. We currently support ARL on multiple programs in addition to supporting no less than six US Army TRADOC Capability Managers (TCM) and five ACAT 1D Major Defense Acquisition Programs (MDAP) at any one time. JANUS is an industry leader in the integration and insertion of technical solutions that support and enhance intelligence, surveillance, and reconnaissance capabilities for the U.S. Army, Joint Forces, and National intelligence agencies. JANUS produces uniquely designed and tailored virtual training and visualizations that enhance critical thinking skills, training efficiencies, and methodologies. JANUS is intimately linked with our partners to offer leading edge technical and analytical solutions that enhance air, ground, Special Operations, and maritime security and situational awareness. Founded in 1990, ADNET Systems has core competencies in Science, Technology Transition, Engineering, Information Technology, Management and Technical Support. ADNET has been an award winning contractor in support of NASA, and has supported NOAA, the US Departments of Transportation, Interior, and Labor and the US Air Force Life Cycle Management Center. Appraised at CMMI Level 3 and ISO 9001:2008 certified, ADNET is a major participant on NASA's High End Computer Network Team (HECN) and is fully involved in the R&D of numerous programs, including the High-End Computer Networks at Goddard Space Flight Center (GSFC), and advanced network technology evaluations. The HECN involves world class network engineering for advanced networking technologies, protocols, and applications, in such areas as optical networking, wave division multiplexing (WDM), fixed and adaptive wavelength transponders, single and link-aggregation of multiple 10-Gigabit Ethernets, and storage area networks. Arizona State University (ASU) Research Enterprise (ASURE) is a non-profit organization that performs applied research solutions that meet Army Research Lab needs. As an emerging DoD/IC solutions provider, ASURE's TS/SCI cleared engineers work with leading ASU subject matter experts to develop and deliver operationally relevant capabilities. ASURE's core competencies include Statistical Modeling, Continuous Improvement, Supply Chain Management & Integrity, Advanced Computer Science, Advanced & Behavioral Analytics, Systems Architecture & Engineering, and Sustainability Solutions. ASURE's recent projects include network management research for the US Army's Electronic Proving Ground to enhance their abilities to mine and visualize big data in communications networks and perform network traffic analysis in support of their system development and technical testing and a NETCOM effort to examine current network management tools and determine efficiencies, effectiveness and appropriateness. The most recent comprehensive effort focuses on modeling MegaCities and determining how the Army will operate in dense urban environments. BCT LLC combines engineering and testing with the application of scientific principles to design, develop, analyze, operate, and test systems and associated solutions to meet operational needs. Cyber security today includes the challenges of protecting national interests in Cyberspace, the global network of interconnected systems. 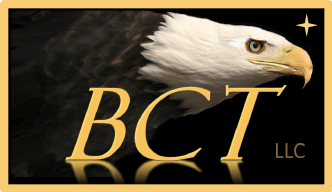 BCT LLC supports Government customers in developing and operating information security solutions within these customers' information domains. BCT professionals are members of customers' cyber operations teams and monitor and analyze cyber threats to support security operations for some of the Government's most valuable information. BCT professionals design, optimize, and document network topologies and site configurations on classified and unclassified systems and provide software engineering capabilities to support comprehensive development, documentation, and training for enterprise solutions. The company also provides Independent Verification and Validation (IV&V) of system designs and complex integrated products, including hardware and software components. A Woman-Owned Small Business, BCT LLC focuses on delivering excellence in services and end-to-end solutions to strengthen our country's defense capabilities. Berico Technologies, LLC (Berico) is a Veteran-Owned Small Business, founded in 2006 with a focus on supporting the missions of the Defense and Intelligence Communities. Since our inception, we have led or significantly contributed to highly innovative and impactful solutions such as NSA Sharkfinn, Army Coral Reef, Army Biometrics Application Toolkit, NSA Real Time Regional Gateway, INSCOM RedDisk, DIA Orion, TRADOC Training Brain Repository, SOCOM DCGS-SOF, and DIA Innovation Gateway. We specialize in software development and systems integration with a focus on interoperability and mission impact. We achieve this through close coordination with our customers to include software end-users, mission and product owners, and other program stakeholders. Berico has supported the U.S. Army throughout our company history to include 5 years supporting Army INSCOM, developing web-enabled security clearance review tools for the Security Business Transformation (SBT) office. Berico's R&D experts have included PhD-level data scientists in disciplines such as Natural Language Processing (NLP) and Applied Statistics. Chenega Technical Innovations (ChenegaTI) is a leading SB provider of Engineering, IT and Technical Operations services to the DoD, DOS and other Government organizations. ChenegaTI has rapidly grown to a staff of 200+ employees within its four years of business. They are a customer-focused organization built upon a cadre of subject matter experts who know their customer's missions, cultures and operating environments. Their technical support and program management approaches integrate the PMBOK and ISO 9001:2008 standards. In support of I2WD, ChenegaTI R&D services contributed to mission success. The DCGS-A Program Manager identified ChenegaTI's efforts as a great example of collaboration between the Government, academia and industry. Commuter Air Technology specializes in integrated solutions for the Global ISR market and provides modernization, upgrade, sustainment, and maintenance and logistics support for a wide variety of aircraft and ground systems. CAT's operations division has excelled as a total solution provider for sensitive overseas missions in support of US Special Operations Forces in austere environments as well as exercise support for SOF in the United States.  Exostrategies, Inc. is a small business that provides unique and innovative Enterprise Architecture (EA) services and tools that focus on harmonizing architectural objectives (e.g., Roadmaps) and an affordable investment portfolio, at an acceptable level of enterprise risk. Leveraging the Architex™ Decision Support Toolset (Architex), we create a collaborative, data-driven environment that provides clearer customer understanding of architectural objectives, affordability and risk tradeoffs. 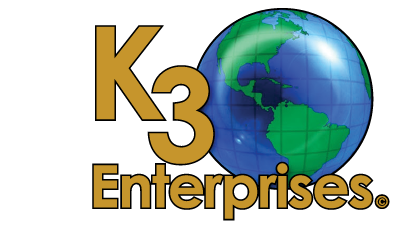 We are a small business that provides customized services and quantified value to our federal and commercial clients. We maintain broad expertise in Enterprise Architecture management including Risk Management, Vulnerability Assessments, Portfolio Management, and Architecture framework design, specializing in DoD Architecture Framework (DoDAF). Group 35 is a Service Disabled Veteran Owned Small Business. The company is owned and operated by former Special Forces operators and experienced intelligence and security professionals. At Group 35, Inc., we are committed to providing the highest possible quality of service whatever the customer requirement. Our promise to the customer is to apply our knowledge and expertise to suit individual customer requirements in an effort to provide the highest standards of customer service and the best possible quality of services. 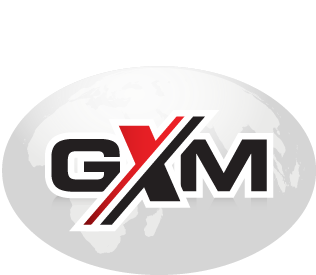 GXM Consulting is an innovative software development company with proven experience designing, developing, testing and fielding leading edge technologies to US military forces in active theaters of combat operations. Fielded over 5000 mobile devices; delivered 120 custom mobile apps to US Army in Afghanistan. Operationally focused, experienced technologists with combat theater deployable software developers on staff. HumanGeo delivers end-to-end data analysis capabilities that provide holistic solutions for integrating, enriching, and visualizing both open source and classified data for a variety of Inter-Agency customers. Our talented team includes developers, system engineers, human geographers, and senior analysts who are alumni from Google, Palantir, the SOCOM Skope Cell, and multiple US Intelligence Agencies. HumanGeo has developed tools and methodologies that can support the IC and Inter-Agency with analytical innovation that incorporates geospatial and cultural indicators, statistical data analysis tools, and spatial reasoning methods to enhance analysts and warfighters GEOINT capabilities. Our company has built and deployed user interfaces that allow users to intuitively navigate a variety of open source inputs concurrently through text, image, and spatial results. InCadence specializes in providing cutting edge technical solutions, deep functional and domain subject matter expertise, operational intelligence and high-end engineering services for DoD clients. Areas of expertise include biometric solutions and identity management, engineering, tactical communications, intelligence operations, information and KM and custom application development. Leidos has over 19,000 employees with >8,500 possessing DoD, TS/SCI, SAP/ SAR, and DoE security clearances providing a diverse portfolio of national security solutions and systems for air, land, sea, space, and cyber space for the U.S. intelligence community, the DoD, military services, Department of Homeland Security (DHS), and government agencies of U.S. allies abroad. Our solutions deliver innovative technology, large-scale intelligence systems, command and control, data analytics, cyber security solutions, as well as intelligence analysis and operations support to critical missions around the world. Lunarline is a leading and award winning provider of cyber and privacy security solutions. Since founding in 2004, Lunarline has supported over 500 clients in the Intelligence, Defense, Federal, Civilian and private sector communities. We help our customer's fight back modern cybercrime by providing a full spectrum portfolio of cyber security solutions that include managed security services, products, certified training, and advanced assessments. A FedRAMP-Accredited 3PAO, Lunarline maintains an ISO certified quality program, CMMI Level II certified process, an Earned Value Management System and a DCAA audited accounting system. As a result, we combine the innovative flexibility of a small business with mature corporate infrastructure rivaling that of the biggest companies. This enables Lunarline to support large, complex security programs while providing low risk, high-quality services to our clients. Mitchell Consulting Service Group is a Native American owned, SBA certified 8(a) and HubZone-certified small business. Our team of dedicated professionals is 100% focused on our customers' mission success. We provide our clients with a broad range of technical solutions and services with a commitment to the highest levels of ethics, quality and professionalism. Today, our multidisciplinary teams are helping clients to develop new solutions to solve ever-evolving IT challenges. We work hard to understand our clients and their requirements enabling us to employ a unique mix of qualifications, experience and customer involvement, to develop tailored solutions to both government and commercial customers' requirements. Mercer Engineering Research Center is a non-profit applied research engineering unit of Mercer University, a private university founded in 1833. MERC was established in 1987 under the Mercer University School of Engineering to provide engineering and scientific services to a full range of customers including the Air Logistics Complexes, Air Force Research Laboratory, Army, Navy, DHS, and industry. MERC has developed a highly qualified professional staff, complex tools and test equipment, and extensive technical capability that includes electronic combat systems engineering; advanced algorithm development; modeling and simulation; information systems technology; structures analysis and technology; mechanical and electronic systems rapid prototype design and reverse engineering; industrial engineering; materials technology; human factors and biomechanics; and cybersecurity. MERC was assessed at CMMI Maturity Level 3 (CMMI-DEV v1.3) in November 2014, according to the Software Engineering Institute's Capability Maturity Model Integration using the Staged Assessment Framework. NFSTC (National Forensic Science Technology Center), in conjunction with and in support of the USSOCOM, has been the main provider of site exploitation and analysis training for various military and international clients. Partnered with the U.S. Marine Corps in 2012 to deliver a highly mobile exploitation and analysis capability course of instruction for the Marine Law Enforcement (LE) Battalions. In conjunction with and for the USSOCOM, NFSTC developed Sensitive Site Exploitation (SSE) courses in 2007 and 2008. Since that time, has been the primary provider of this training for various military and international clients. In addition, NFSTC provides extensive equipment procurement and support for USSOCOM. Has been a major provider of forensic training for the USMC Law Enforcement Battalions, USSOCOM, National Institute of Justice (NIJ), Bureau of Justice Assistance (BJA), and other agencies since 2000. Scientific instructors have extensive operational and instructional experience as well as advanced degrees and certifications. Holds a DEA and ATF license. Oceans Edge provides engineering services and solutions in the areas of wireless cyber security, vulnerability analysis, mission application development, network data collection and analysis, and wireless systems design, development and integration. Oceans Edge has successfully supported its USG customers with developing, transitioning, and fielding over 35 programs for use in the field. Our team, many with high level USG security clearances, possesses diverse commercial and Government backgrounds in wireless telecommunications, wireless security, lawful intercept of wireless communications, military operations and commercial telecommunication product development. We utilize these collective backgrounds and deep, subject matter expertise to research, design, develop and field advanced and innovative mission capabilities for our customers' operational needs. Programmatics Engineering Group, Inc.(PEGi) provides short and long-term support in the areas of strategic planning, program and project management, change management, business management, systems engineering, systems test, information technology services, financial management, government acquisition management. We are staffed with a combination of industry field experts, former military and government employees. Our firm is ready with hands-on experience and a can-do attitude. Partnership for Defense Innovation (PDI) is adept at innovative solutions engineering, engineering support, training and training-related services, and direct support for SOF and Irregular Warfare applications. Our Research, Development, Testing & Evaluation Laboratory (RDT&E Lab) provides a capability for systems integration and optimization of system performance; fabrication, integration and testing; material development and integration; mechanical design and development of component systems; modeling and simulation; software design, development, integration, and verification; rapid technical testing and assessment; and the submission of plans, reports, technical and training manuals. 99% of PDI's RDT&E Lab personnel are former SOF-SMU operators who possess 20+ years' experience working with the Tactics, Techniques and Procedures (TTPs), and communications/sensor equipment used within the Special Operations and Irregular Warfare communities. Praxis Engineering, headquartered in Annapolis Junction, Maryland, is a consulting, products, and solutions firm dedicated to the practical application of software and systems engineering technologies to ensure the success of our customers. Praxis Engineering brings together world class engineering talent combined with engineering best practices, domain expertise, commercial technologies, and proven agile management approaches to create high-value solutions aimed at helping our customers meet their mission critical needs. 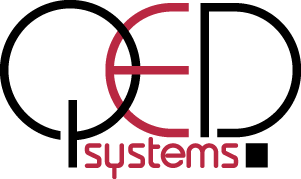 QED Systems is a solutions provider to the DoD with a focus on US Army C4ISR Research, Development, Test, and Experimentation. QED supports the strategic planning activities for technology programs related to Battle Command Systems Engineering Support, Intelligence, Test Support, and Laboratory Analysis. Rockwell Collins is a pioneer in the design, production and support of innovative solutions for our customers in aerospace and defense. Rockwell brings a global team of nearly 20,000 employees. Rockwell's aviation electronics systems and products are installed in the flight decks of nearly every air transport aircraft in the world. Rockwell's communication systems transmit nearly 70 percent of U.S. and allied military airborne communications. Sotera Defense Solutions has 40+ years supporting DoD / IC and all major operations from the Cold War to contingencies in Operation Just Cause and Operation Enduring Freedom. Today, as part of the SSES NexGen Task Order WorldWide Intel we provide 300+ Field Service Engineers (FSEs) responsible for providing software support to the entire Army Intelligence Architecture with special emphasis on Distributed Common Ground Station ? Army (DCGS-A) supporting all Army IW missions. We support the NSA Joint Cryptologic Mission Simulation (JCMS) program enabling training on classified capabilities to support Irregular Warfare analysis, collection, and targeting. As a Prime on the DARPA XDATA, MEMEX, and NEXUS 7 program Sotera has available Geospatial, temporal, link-analysis, anomaly detection, and other analytics used for the FBI Innocence Lost Database (ILD)/Web Archival Tool (WAT). Strategic Enterprise Solutions (SES), is a small business serving federal agencies that protect our nation's security and defend our fellow citizens' safety. SE Solutions bring homeland security experience, organizational agility, and multidisciplinary expertise to help our clients respond to a rapidly changing threat landscape, accomplish today's mission, and anticipate tomorrow's demands. Practice areas include Cyber Security, Management Consulting, Mission, Support, and Technology Consulting. 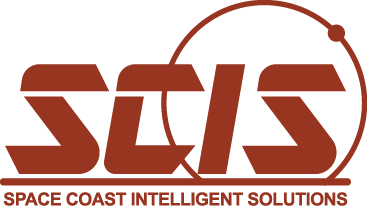 Since 2008, Space Coast Intelligent Solutions, Inc. (SCIS) has provided our government and commercial Customers with an extensive range of innovative C4ISR engineering solutions for space, airborne, and terrestrial applications. SCIS specializes in software, hardware, and data solutions from initial design and development through low rate production. This includes designing, developing, testing, and delivering prototype Type 1, Suite A wireless cellular devices providing the Warfighter the ability to pass classified sensor data and dynamically task sensors on the tactical edge. As a Prime to the Air Force, SCIS provides full lifecycle software support for Nuclear Treaty Monitoring activities. 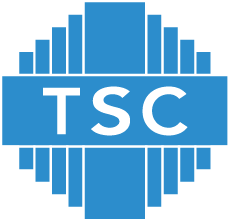 Technology Services Corporation (TSC) is a high technology company primarily engaged in providing engineering consulting services and specialized products to the U.S. Government and industry. Consulting and research services span the systems life cycle from advanced concept development through logistics support. Our specialized solutions include electronic components for microwave and digital processing systems; prototype demonstration systems; and computer software for radar siting, and sensor simulations. Strategic Solutions Unlimited (SSU) provides a wide range of specialized support to expeditionary warfare requirements such as CONUS and OCONUS Field Service Representative (FSRs) services to a broad scope of technical systems such as Electronic Security Systems, CI/HUMINT systems such as GRIDS and CHARCs as well as the Preliminary Credibility Assessment Screening System (PCASS). SSU designed, produced and delivered over 380 CI/HUMINT support systems to CONUS and OCONUS locations consisting of Interview Interrogation Modules (IIM), Operational Support Modules (OSM), and Command and Control Suites (C2S). As a turnkey solution, each system included the modular rigid wall structure, all supporting equipment (video, audio, and information systems) as well as electrical control panels and portable HVAC systems. SSU was the prime contractor on this $45M IDIQ contract. Textron Advanced Information Solutions designs multisource intelligence, geospatial analysis, and custom intelligence solutions for the DoD and civilian agencies. Textron's expertise includes forward airborne secure transmissions and communications, a mobile communications, analysis and visualization, smartphone application systems for mobile teams and operations centers, enterprise solutions that leverage mobile and smartphone technologies, geospatial and other rapid software development. TLS Aviation provides diverse services for a variety of DoD, FAA and DHS customers. TLS Aviation is leading the industry with the development of unique software and air/ground integrating capabilities. TLS brings together multiple technologies and information sources from ground sensors and human reporting to optionally piloted C4ISR aircraft and data management systems, social media and open source information into usable CONOP ready formats. TLS Aviation conducts dynamic exercise development, training, simulation and mentoring services to enhance the client's operational capabilities and enhances their organizational effectiveness. TLS Aviation provides unparalleled value and support to the Warfighter. 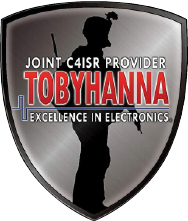 Tobyhanna Army Depot (TYAD) is a recognized leader in providing World-Class Logistics Support for Command, Control, Communications, Computers, Intelligence, Surveillance and Reconnaissance (C4ISR) Systems across the DoD. TYAD is the Army Center of Industrial and Technical Excellence (CITE) for C4ISR, Electronics, Avionics, and Mission Guidance and Control. TYAD is the largest, full-service electronics maintenance facility in the DoD. TYAD plans, directs, and supervises purchasing and contracting of supplies, services, equipment, and construction providing both CONUS and OCONUS support to depot missions. TYAD?s capabilities include full-spectrum logistics support for sustainment, overhaul and repair, fabrication and manufacturing, engineering design and development, systems integration, Post Production Software Support, technology insertion, modification, Foreign Military Sales and Global Field logistics support to our Joint Warfighters. VOR Technology is well-versed in planning, coordinating, integrating and synchronizing, as well as conducting full-scale operations in cyber space. VOR analysts have endured rigorous training in the areas of computer network exploitation, computer network defense, and computer network attack. By utilizing years of SIGINT experience, VOR team members have learned to use unconventional methods to passively and actively exploit our adversaries' computer networks and communications.